The United Arab Emirates-based managed security services provider, Z Services, has expanded its relationship with TitanHQ and will be offering further TitanHQ cybersecurity solutions to its customers to protect them from web-based threats and meet compliance requirements. Earlier in 2018, Z Services partnered with TitanHQ and started offering its clients a new spam filtering solution – Z Services Anti-Spam SaaS – which was powered by TitanHQ’s spam filtering technology. The new service has proven to be a tremendous success and is helping Z Services’ clients block email-based threats such as spam, phishing emails, malware, and ransomware to keep their networks secure. The success of the new service prompted Z Services to start offering two new TitanHQ-powered solutions to its clients: A web filtering SaaS offering powered by WebTitan and a new email archiving service powered by ArcTitan. Both solutions have been combined into the Z Services MERALE solution which is focused on SMEs. MERALE offers SMEs enhanced protection against Internet threats and helps SMEs improve productivity by restricting access to certain categories of web content: Gambling, gaming, dating, social media, and adult websites, for example. The solution also helps SMEs comply with government and industry regulations. The MERALE SaaS offering combines in-country email archiving, business productivity policies, in depth reporting, and audit-as-a-service as well as meet compliance requirements and improve their security posture. MERALE is being offered to SME’s throughout the MENA region as a service through Internet Service Providers (ISPs). 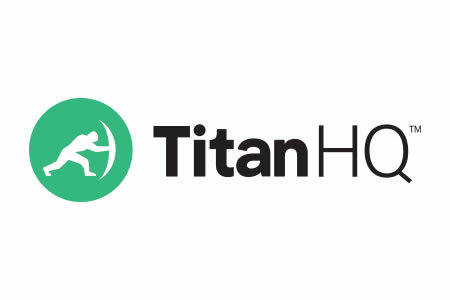 All TitanHQ technologies powering the solution were supplied in full white label form and have been re-branded, allowing Z Services to provide its own cost-effective, auto-provisioned, Internet protection and compliance service.